Claiming that Bitcoin is worthless or saying that it's just a comprehensive pyramid scheme, those are just two myths attributed to Bitcoins. With so much false information on the web today it's no wonder there is such an array of misconceptions regarding Bitcoins. Some might say Bitcoin is only for true believers and there is nothing that could be said to change the mind of those that are skeptic, but that is only the basis of another myth by which there is no evidence to prove the value and longevity of the Bitcoin. 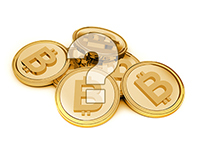 The good news is that with the right information it's easy to debunk those common myths attributed to BitCoins. Bitcoin is worthless. One common myth attributed to Bitcoins is that they are worthless since they aren't backed up by anything. The truth is that value is determined subjectively, value is gained by from the fact that it is given. Bitcoin is a great example of the subjective nature of value since it demonstrates how as we trade with Bitcoins we actually collectively give the currency its value. Bitcoin is just a big pyramid scheme. The basis of a pyramid scheme lays in the fact that there is one main company or organization that promises its investors a guaranteed profit. But since Bitcoin has no authoritative body to make such promises and is after all a peer-to-peer based cryptocurrency, there is no basis to the claim that it's just some pyramid scheme. Bitcoins enables criminal activity. Criminal transactions done on websites as the Silk Road have given Bitcoin a bad reputation as a mean to support criminal activities. It is true that people take advantage of the anonymous nature of BitCoins to sponsor criminal acts, but the truth is that criminals also use all other forms of payments too to do that. The fact that a certain form of payment is used in context of an illegal activity doesn't mean that the currency is criminal in nature. Bitcoin mining is bad for the environment. Recently an article that was published in Bloomberg magazine claimed that Bitcoin mining consumes so much energy that it's destructive to the environment. But in fact if we compare the amount of energy used in other industries, or let's say in printing and distributing fiat currencies, we would actually see that in comparison Bitcoin mining conserves energy. Bitcoins can't be used. This misconception stems out of the fact the after all Bitcoin is relatively new and can't be used in a widespread manner across the web as a payment method. But the truth is that every day you can find more and more marketplaces online and offline in which you can use BitCoins. A great example of how you can use BitCoins in your day-to-day life can be seen in Forbes' Kashmir Hill's article series "Living on Bitcoin for a Week". We at CoinMama are aware of the need for an online marketplace that allows consumers to buy products with Bitcoins, that is why we have recently launched BitPapa, an innovative and exciting new marketplace where you can purchase a variety of products with Bitcoins. It's important to remember that since Bitcoin is such a hot topic these days it is expected that new myths and misinformation will continue to appear on the subject. Skeptics and critics will continue to dismiss the value of Bitcoins and continue making new claims. It’s important to be aware of that and not believe any claim that is made, but rather double check the information you are given.